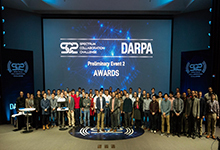 On December 12, DARPA held the second preliminary event of the Spectrum Collaboration Challenge (SC2) – the world’s first collaborative machine-intelligence competition to overcome spectrum scarcity. 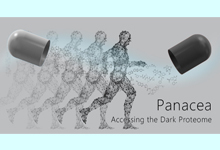 Fifteen teams represented by members from across the academic, commercial and defense landscapes gathered at Johns Hopkins University Applied Physics Laboratory (APL) to pit their intelligent radio designs against each other in a head-to-head competition. 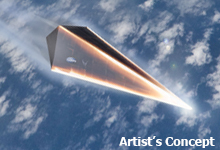 Hypersonic vehicles fly through the atmosphere at incredibly high speeds, creating intense friction with the surrounding air as they travel at Mach 5 or above – five times faster than sound travels. Developing structures that can withstand furnace-like temperatures at such high speeds is a technical challenge, especially for leading edges that bear the brunt of the heat. 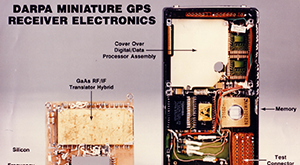 Today’s critical Department of Defense (DOD) systems and platforms rely on advanced electronics to address national security objectives. 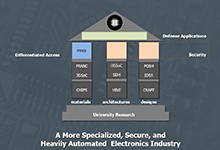 To help tackle obstacles facing a half-century of electronics advancement, DARPA launched the Electronics Resurgence Initiative (ERI) – a five-year, upwards of $1.5 billion investment in the future of domestic electronic systems. 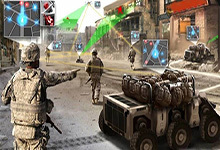 In November, DARPA expanded ERI with the announcement of ERI Phase II, which seeks to further enmesh the technology needs and capabilities of the defense enterprise with the commercial and manufacturing realities of the electronics industry. Four years ago, DARPA announced the start of a “journey of discovery” toward understanding and treating networks of the brain. 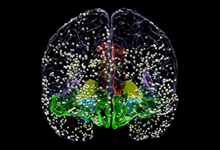 The Systems-Based Neurotechnology for Emerging Therapies (SUBNETS) program proposed to develop responsive, adaptable, closed-loop therapies for neuropsychiatric illness that incorporate recording and analysis of brain activity with near-real-time neural stimulation to correct or mitigate brain dysfunction. 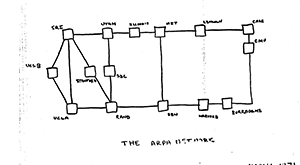 The premise of SUBNETS is that brain function and dysfunction — rather than being relegated to distinct anatomical regions of the brain — play out across distributed neural systems. Flying at 50,000 feet, diving deep in the ocean, or hiking for miles with gear through extreme climates, military service members face conditions that place unique burdens on their individual physiology. The potential exists to develop pharmacological interventions to help service members complete their toughest missions more safely and efficiently, and then recover more quickly and without adverse effects, but those interventions must work on complex physiological systems in the human body. 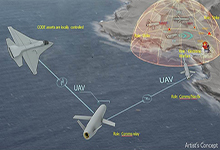 In a recent test series at Yuma Proving Ground in Arizona, DARPA’s Collaborative Operations in Denied Environment (CODE) program demonstrated the ability of CODE-equipped Unmanned Aerial Systems (UASs) to adapt and respond to unexpected threats in an anti-access area denial (A2AD) environment. 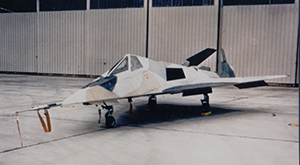 The UASs efficiently shared information, cooperatively planned and allocated mission objectives, made coordinated tactical decisions, and collaboratively reacted to a dynamic, high-threat environment with minimal communication.